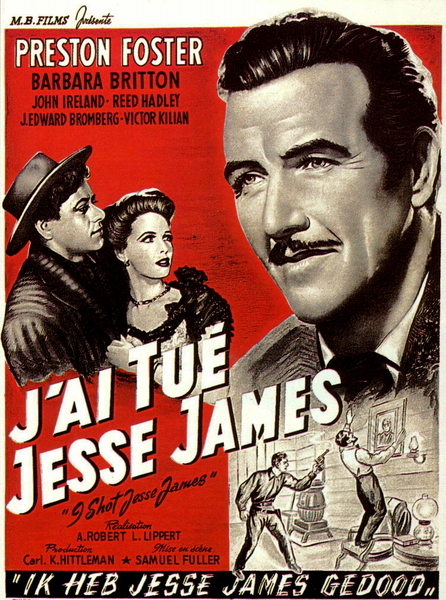 The film opens with the James gang robbing a bank. It is a tense, dialogue-free scene that is impeccably shot and edited to heighten the tension. Fuller does here without a single line more than most directors can do in an entire film. A couple of minutes in, the first scene of dialogue comes between Jesse James (Reed Hadley) and Robert Ford (John Ireland). Ford was shot in the escape from the bank and dropped the money bag. Jesse James tenderly bandages the wound as he tells Ford that when a man saves another’s life, he takes on his responsibilities. Fuller portrays James as a sympathetic hero, a man devoted to his gang much more than the pursuit of simple funds. The fact that Ford is still alive is much more important to James, as the two men are true friends that have shared much together. Ford runs across Cynthy (Barbara Britton), an old flame in town, but she refuses to be with an outlaw. He longs for a simple life, but his ties to the James gang are deep and there is no easy way out in sight. When he returns to the James home, his brother tells him of the governor’s plea for help in stopping Jesse James. He offers amnesty and a hefty reward to any of James’ gang members that turn in their leader. The idea intoxicates Ford. If he turns in his friend, dead or alive, he can be with the woman he loves. The seed is planted and Ford is powerless to stop its growth. 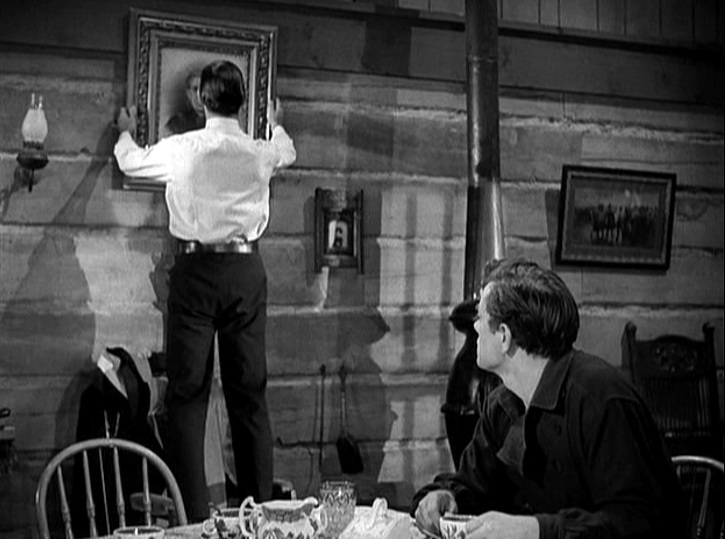 He murders James a few days later as he fixes a picture on the wall, his back to Ford. Almost immediately after, Ford regrets his decision. He thought he was doing the right thing for himself and his girl, but he knows deep down he has done wrong by his trusting friend. The governor pardons Ford, but gives him only a fraction of the promised reward. Ford decides to use the money to buy Cynthy a ring. With this decision, Fuller continues to illustrate Ford’s backwards thought processes that led him down the path of failure. As you might have guessed, Cynthy instantly rejects him when he tells her he did it for her. The film’s cast performs well as a unit and they remain believable throughout. There’s definitely moments of high melodrama but it works well here to show the volatile emotional struggles going on beneath the surfaces of Ford and Cynthy. John Ireland communicates the tortured nature of Robert Ford with skill, without resorting to over-acting. Preston Foster knocks it out of the park with his subtle performance as Kelley, a man stuck in the middle of Ford and Cynthy. I also have a new classic movie crush as Barbara Britton is impressive and stunningly beautiful. I would also be remiss to not mention J. Edward Bromberg’s fantastic bit part as the owner of the opera house Cynthy works for. He provides a calm and collected performance of subtlety rarely seen in films of the 1940s. Between Foster and Bromberg, we have some of the better acting I’ve seen in 1940s cinema. Film critic and later filmmaker Jean-Luc Godard said in his review of the film that the film’s close-ups featured, “oppressive intensity the cinema has not experienced since Dreyer’s [The Passion of] Joan of Arc.” While I don’t think it rises quite to those heights, I can understand the statement. There is a level of honest emotions displayed by the actors here that is very hard to come by in films of the era. Godard’s point is beautifully realized in one scene when Frank James confronts Ford. 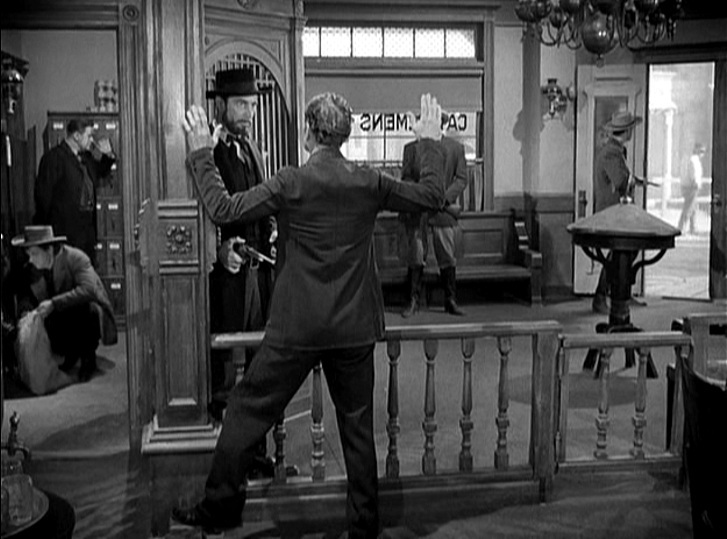 Frank James is in complete control of the situation and holds Ford’s life in his hands. Instead of murdering Ford as expected, he chooses to bluntly tell him something that Ford has denied to himself throughout the entire film. Fuller stays on Ford’s face throughout the exchange as the pain and utter heartbreak slowly breaks over him. It’s a crushing moment for Ford and one that I do not envy. The infamy James’ murder gives Ford is not what he wanted, but it’s what he got. Ford’s one track mind didn’t allow him to see past his goal and realize that major repercussions were lying in wait to ambush him and ruin his dreams. Consequently, Ford lives in fear of the gunshot that will do him in, as killing James brought the focus clearly down on him. I was wondering throughout the film about James’ first lines. If a man saves another and he takes on his responsibilities, then what does he take on when one kills another? Fuller consistently hits home throughout the film that the burden of murder is a heavy one and one that doesn’t lend itself to rash decisions. The final gunfight portrays this visually, in ways unseen in westerns before. The scene was filmed in broad daylight in the middle of the street, but the characters face off completely in the dark shadows coming from the buildings. Killing is dark business and Fuller’s choice shows it for what it is and does nothing to glorify it. The barfight in the film holds true to Fuller’s trademark use of quality stuntman and filming the action from afar for greater effect. It’s the equivalent of Hong Kong martial arts films where the fighters are shot with their entire bodies in frame for lengthy takes. You can’t fake it through editing this way and Fuller knew it. This fight isn’t as intense or exciting as the subway fight in Fuller’s later film Pickup on South Street, but it foreshadows Fuller’s desire to create something different with his films right from his début. My only real complaint with this one is that Cynthy’s romantic shift is handled sort of clumsily. It paints her as a weak character, and one that latches on to someone in her hour of need, instead of actively choosing. I have to wonder if after the credits rolled, Cynthy doesn’t get tired of her new beau and continue searching for the reckless outlaw she loved, forever lost when Ford chose to murder James. 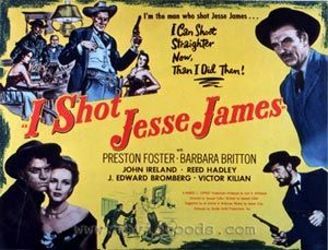 I Shot Jesse James isn’t the best film you’re ever going to see, nor is it much of a western. It is a wonderful, tortured story of the coward Robert Ford who will forever be defined by his actions on that fateful day. It is a fantastic début for Fuller and one that got the attention of many. 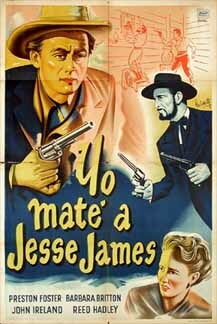 Recently released for the first time on DVD by Criterion, I Shot Jesse James is well made and very much recommended. Once again I am wowed by your incredible observations on the films of Sam Fuller. Great work here. In contrast to most of his later films, this one is actually almost an exercise in understatement (at least by Sam Fuller standards)… I admit much of this is due to John Ireland’s performance, which was a difficult one to pull of, but he did so with flying colors. I am looking forward to more of your Sam Fuller reviews. You are doing great justice to his body of work. I’m particularly looking forward to your thoughts on his later films, which are often unfairly criticized for silly reasons. Personally I think they are among his best. Thanks man! This one is fairly understated compared to the later ones I’ve seen, but I was surprised just how much his style came through in his first movie. I was expecting more of a traditional studio picture with his name on it, but he didn’t disappoint. I’m really excited about working my way through all his films. Haven’t decided which one to do next. I was thinking of doing Big Red One or maybe trying to go chrono from now on and do Baron of Arizona. Any thoughts? I also need to do them more frequently I think as I’ve only been doing one about every 2 months. 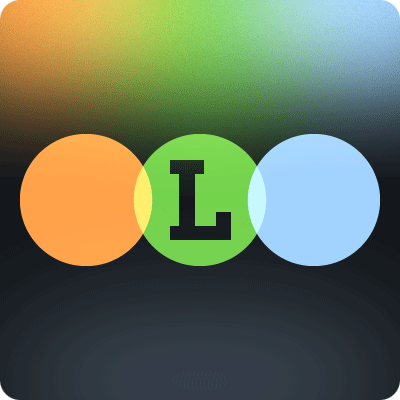 Well, it’s fun to go chrono because it allows you to see how a director’s vision evolved throughout the years. However, Sam Fuller is one of the few who actually remained fairly consistent over the span of his career, so I do think you’d be able to get away with jumping up and down the timeline. A review of the Big Red One (extended cut!) would be awesome, it definitely was one of his most personal films and I know you would be able to deliver another fantastic writeup on it. Yeah I haven’t gone chrono yet for his films so why start now. I’ll probably do Big Red One in a few weeks.